Providing you the best range of limpet type reaction vessels, reaction vessels with inner coil, reactor with bottom entry agitator and chemical reactor with effective & timely delivery. With our immense domain expertise, we are involved in offering Limpet Type Reaction Vessels. The offered reaction vessel is manufactured with precision using high quality material & modern techniques in compliance with the market norms. 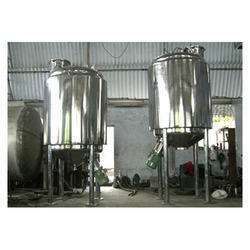 This reaction vessel is available in different specifications as per demanded comes from our customers. We provide this reaction vessel at affordable price in a stipulated time frame. Our organization has gained recognition as an affluent manufacturer and supplier of Reaction Vessels with Inner Coil. Our offered reaction vessel is manufactured using cutting-edge technology & finest components keeping in pace with industry norms. We are giving this reaction vessel on numerous specifications so as to meet the needs of customers. As well, this reaction vessel is acknowledged in the market for its reliability & less maintenance. 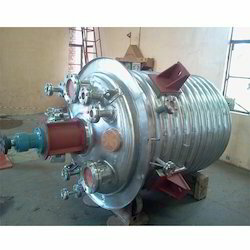 We are remarkable entity, engaged in offering superior range of Reactor with Bottom Entry Agitator. The product offered by us is checked on numerous parameters so as to deliver a defect free range. We manufactured this product using premium grade material and progressive technology in tandem with set industry standards. Also, our product is known among customers for its long operational life. Material of Construction SA 516 Gr. 70 etc. We are leading manufacturer and supplier of Chemical reactor. 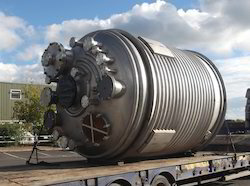 The reactor tank offered by us is checked on numerous parameters so as to deliver a defect free range. We manufactured this reactor tank using premium grade material and progressive technology in tandem with set industry standards.